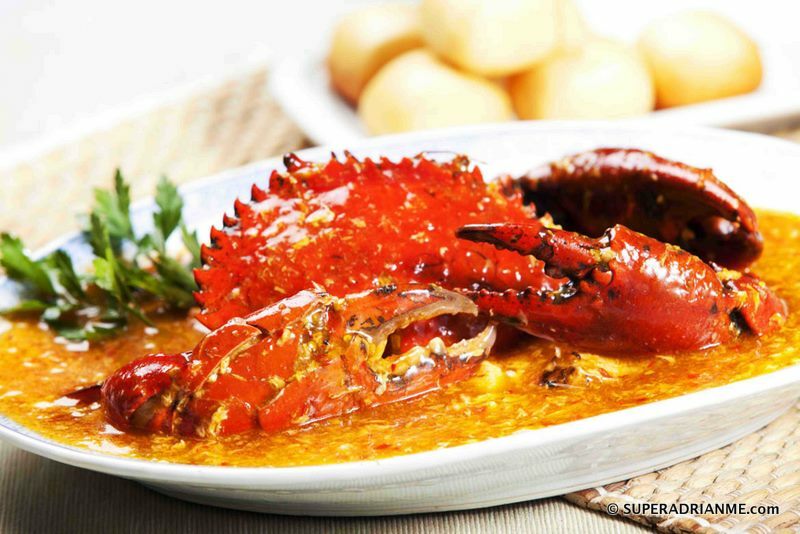 This sauce is good for 1 crab up to 1.2kg in weight. 1. Open crab to remove all inedible parts. Cut crabs into 8 pieces. Crack the pincers slightly with a meat mallet or the back of chopping knife. Wash and set aside. 2. Heat oil then add chili sauce ingredients for 3 minutes. 3. Add water till boil. 4. Mix the chili sauce, tomato ketchup, light soya sauce and 800mL water together. 5. Add in crab pieces, ensure all the pieces are submerged in the sauce and bring the mixture to a boil over high heat with the lid covered. 6. Lower to low heat and simmer for another 18 minutes with the lid covered. 7. Dissolve the corn/potato starch in 2 teaspoons room temperature water. Stir the dissolved corn/potato starch into the sauce to thicken it. 8. Turn the heat to high and gently stir in the beaten eggs evenly. 9. Wait for sauce to simmer then serve the chili crab hot with steamed white rice and/or bread (deep fried Chinese buns called “man tou”, dinner rolls or just simple sliced white bread.